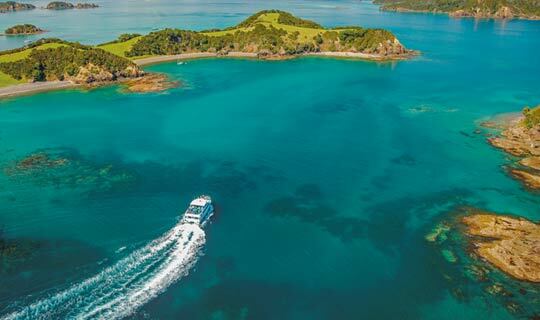 Join the Dolphin Seeker catamaran for a half-day Bay of Islands tour. Cruise to the end of the Cape Brett Peninsula, and the famous Hole in the Rock on Motukokako Island. Watch out for dolphins, whales and other marine life. Stop off at Urupukapuka Island, relax on the beach, or walk to the top of the island for 360° views. Visit Te Puia, New Zealand’s living Maori cultural centre, in the Whakarewarewa Geothermal Valley, five minutes form central Rotorua. With land steeped in ancestral history, and a guiding legacy dating back centuries, Te Puia extend their hospitality and heritage to visitors. 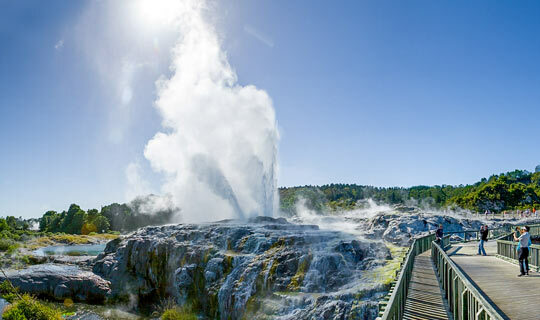 Te Puia’s 60 hectares includes a live Kiwi enclosure, the world-famous Pohutu Geyser and over 500 other geothermal wonders. 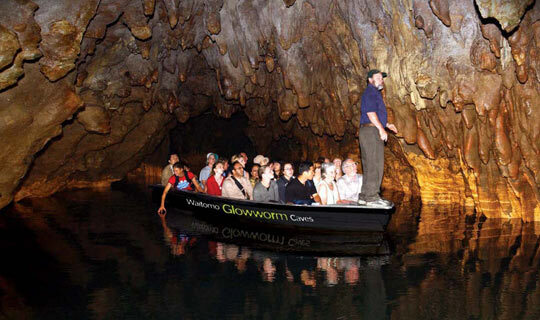 Our world-renowned Waitomo Glowworm Caves are a natural attraction, which have amazed visitors for over 125 years. This tour takes you through stunning underground scenery. The impressive acoustic Cathedral, the Tomo limestone shaft and a magical boat trip through the spectacular Glowworm Grotto. Thousands of glowworms radiate their luminescent light and our expert guides provide fascinating commentary along the way. Discover Middle-earth and let your imagine run wild during this fun and fascinating, two-hour guided tour of the Hobbiton movie set. 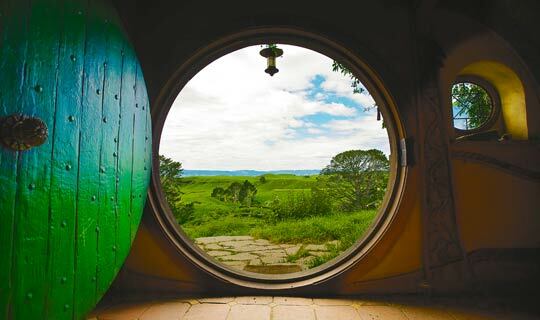 On picturesque private farmland you can visit the Hobbit Holes, The Green Dragon Inn, The Mill, double arched bridge and other features and structures built for the Lord of the Rings Trilogy and The Hobbit films. The Ultimate Eco Adventure and New Zealand’s only native forest Zipline! 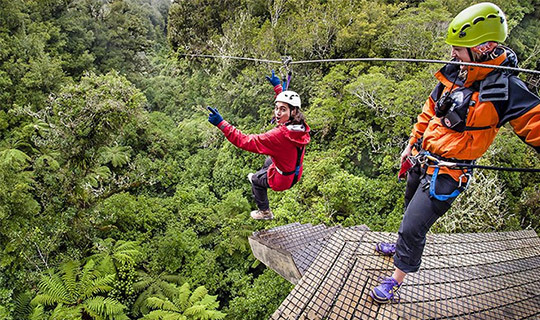 Safely secured in harnesses, travel the 1.2 km course through a network of ziplines, tree to tree swing bridges, treetop platforms and walking trails deep in virgin New Zealand native forest. High amongst ancient trees, this 3 hour adventure combines fun and excitement with changing views that are breath-taking as you experience the thrill of flying through changing landscapes from high above unexplored forested valleys. 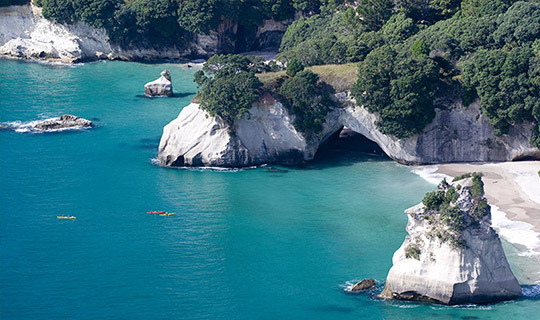 Experience Coromandel Peninsula, a favourite holiday destination for many New Zealanders. Its amazing landscape consists of a mountainous, forest-covered backbone, with the Pacific Ocean on the east, and the sheltered bays of the Hauraki Gulf on the west. Spend the day in this unique area steeped in history associated with kauri logging and gold mining and stunning coastlines. Dare to explore White Island, New Zealand’s only active marine volcano on an adventurous six-hour guided tour. Transfer by purpose built, luxury launch departing Whakatane Wharf on the 80-minute journey to the island. Learn about its history via expert commentary along the way. Reach the island by inflatable then follow our expert guides right to the hissing crater’s edge. 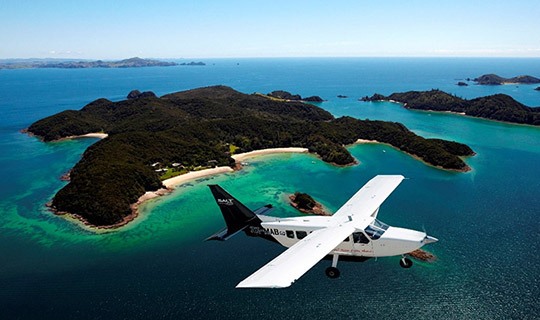 This “Cape Reinga Fly/Drive” ½ day tour is the alternative way to travel to the top of New Zealand to experience it’s beauty, history and scenery from both the air and on land, with the added bonus of avoiding a long road trip if you are short on time. For spectacular views over Rotorua, visit the Skyline complex at Mt Ngongotaha. Travel high up the mountain by gondola to see breathtaking scenery over surrounding lakes and geothermal areas. 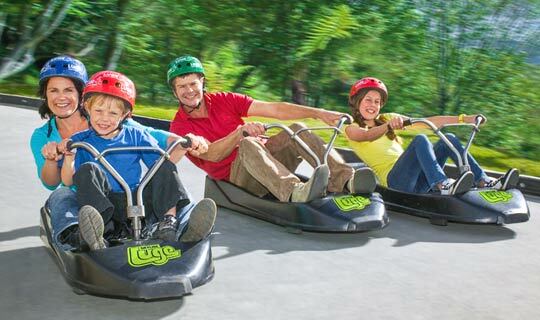 At the summit dine at the buffet and grill restaurant, several nature walks and the start of the Skyline Luge, a wheeled gravity ride, which zooms downhill through Redwood Forest. Step back in time and immerse yourself in Maori culture at an authentic Maori village nestled in ancient Forest. Experience a sacred formal ceremony before being welcomed through fortifications and into the village. Learn about Maori art forms and traditions. See weaponry and craft displays, listen to villagers tell stories of ancestors, enjoy a Maori Hangi, songs and performances including the Poi dance and powerful Maori Haka.